Goodbye Velcro shoes, hello laces! As children enter elementary school, they become more independent with self-dressing. Children begin to learn how to tie their own shoes between 5-7 years old. Tying shoe laces requires strong fine motor skills including finger isolation, bilateral hand coordination, visual perceptual skills, hand-eye coordination and hand strength. Let your child pick out their first pair of tennis shoes. The new pair of shoes will help motivate your child! Do not practice shoe tying when you are in a rush. Try practicing after school instead of during the morning rush. Remain calm and relaxed while practicing. Model the process on your own shoes. Practice one step at a time. Do not move on until your child has conquered the current step. Be consistent with word choice: Loops, bunny ears, twist, knot, etc. Begin with the shoe off until the skill is mastered. Laces become tight when on the foot, making tying more difficult. Avoid using the words â€˜leftâ€™ and â€˜rightâ€™ unless your child is proficient at distinguishing the two. Instead put a sticker or sharpie dot on the childâ€™s dominant side, and refer to the â€˜stickerâ€™ or â€˜non-stickerâ€™ side. Using two different colored laces is a great alternative as well. Print off a visual step-by-step picture and hang it near the shoes. As with everything, practice makes perfect. Continue to encourage your child to keep working at tying his/her own shoes. Below are some resources to help ease the process. Clever Way To Practice Shoe Tying for Kids: MamaOT creates a life hack by gluing together two different colored shoelaces for a better visual. The Easiest Way to Tie Shoes: If your child is having difficulty with shoe tying, try this alternative method! Egg Carton Shoe tying: Punch holes into the tops of an egg carton and string two different color laces through the holes as if you are lacing a shoe. Use the laces to practice tying a shoe. Shoe-tying practice board: Watch this tutorial for an easy and effective way to make a practice shoe board using cardboard and laces! Henry, Sarah. â€œDevelopmental Milestone: Self-Care (Age 5).â€� BabyCenter, 30 Sept. 2015, www.babycenter.com/0_developmental-milestone-self-care-age-5_66682.bc. Kiley, Christie. â€œClever Ways to Teach Shoe Tying for Kids (Tips & Modifications).â€� Mama OT, 22 July 2016, mamaot.com/teach-kids-tie-shoes-tips-tricks-modifications/. 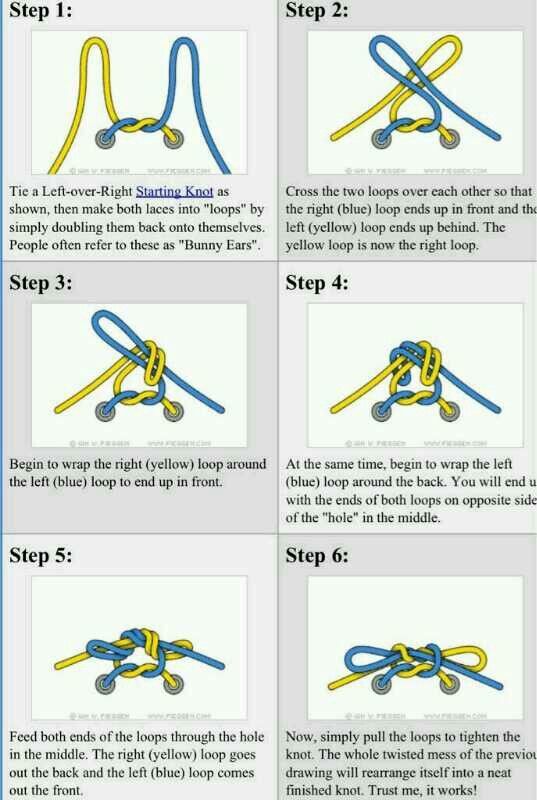 â€œShoe Tying Methods.â€� Therapy Fun Zone, Therapy Fun Zone Https://Therapyfunzone.net/Blog/Wp-Content/Uploads/2016/04/Tfz-Logo-Copy.png, 19 July 2014, therapyfunzone.net/blog/shoe-tying-methods/. â€œShoe Tying Tips and Tools for Kids.â€� The OT Toolbox, 5 Oct. 2015, www.theottoolbox.com/2015/10/shoe-tying-tips-and-tools-for-kids.html.